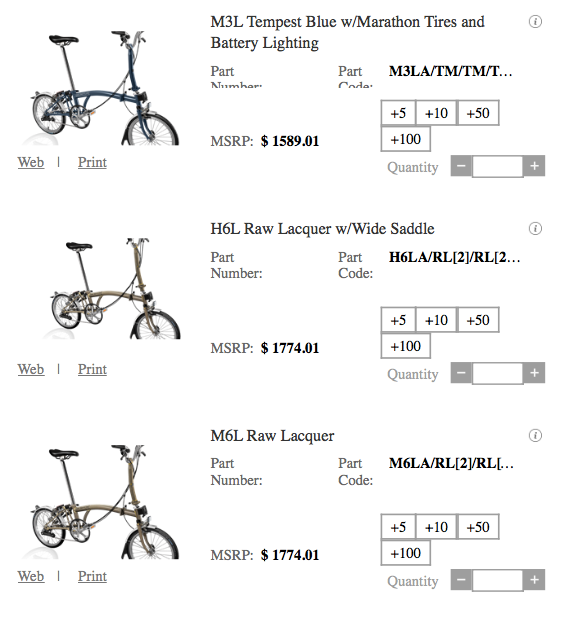 Current list of all Pre-Built Brompton Bikes at the Warehouse! If you are interested or have any questions regarding the following configurations please contact us. Ready to ship.